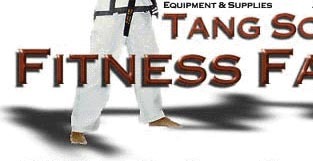 Home | Staff | Master Jim DeBaca | "What Is "Tang Soo Do?" Tang Soo Do is an ancient martial art, which originated 2,000 years ago in Korea. Superficially, Tang Soo Do (Karate) is a method of empty hand, and foot and weapon fighting, based on the scientific use of the body in self-defense. All of the photos feature Fitness Fanatics staff/students!